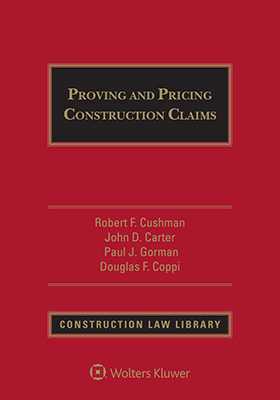 Proving and Pricing Construction Claims even covers the clauses that should be in every construction contract. You'll get comprehensive coverage of all the important issues - delay claims, differing site conditions claims, claims for lost profit, international claims, and much more. Includes a variety of winning strategies, practice tips, and helpful checklists to minimize damages and maximize collectability.